If personalized health care and 24/7 access to your doctor sounds appealing, you may want to consider concierge medicine. Family physician Raye-Anne Ayo, MD, at Family Health Center, PLLC in Farragut, Tennessee, was named one of the top 25 doctors in concierge medicine. To discover the benefits of concierge medicine for yourself, call Family Health Center or book an appointment online today. Concierge medicine, also called membership or retainer medicine, is a new model of health care that’s been steadily gaining popularity over the past 15 years. At Family Health Center, Dr. Ayo offers a concierge membership option for patients seeking a full-time health advocate. For an affordable membership fee, Dr. Ayo offers a premium wellness partnership designed to optimize your quality of life. Instead of allowing insurance companies to dictate the tests and services you receive, Dr. Ayo performs in-depth, customized checkups tailored to your needs. Although concierge medicine doesn’t involve health insurance, you still need insurance for outside services like lab tests, hospital stays, and visits to specialists. Dr. Ayo also coordinates lectures on topics such as nutrition, physical therapy, and other health care topics from leaders in their fields. Whether you’re a busy professional with a tight schedule or have a child that needs to see a doctor right away, you’ll appreciate the accessibility of having a personal physician. What should I expect from concierge medicine? Concierge medicine fuses modern medical practice with a classic approach to patient care. Dr. Ayo is your personal physician who sees you when you need her and is available to answer your questions, day or night. In addition to family medicine, Dr. Ayo has completed extensive fellowship training in age management medicine. She has experience helping patients of all ages optimize their health, from newborns to adults of all ages. As one of the few doctors to offer concierge medicine, Dr. Ayo firmly believes in letting you choose the type of health care you receive. 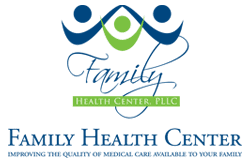 To take control of your health with a concierge medicine membership, call Family Health Center, PLLC or book an appointment online today.